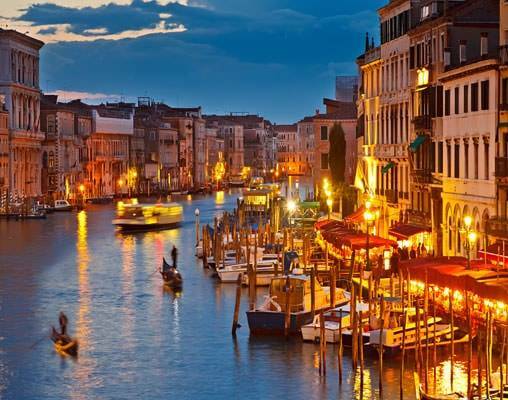 Visit three of Italy’s most enriching and historic cities on this 11-day tour. 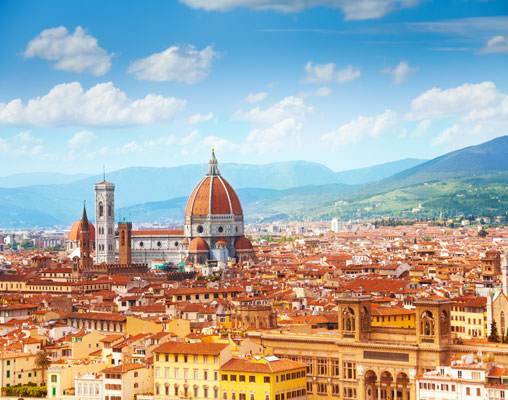 Visit three of Italy’s most enriching and historic cities on this 11-day tour that takes travelers through the Italian countryside by high-speed train to three of the country’s most popular cities: Rome, Florence and Venice. Benvenuto! 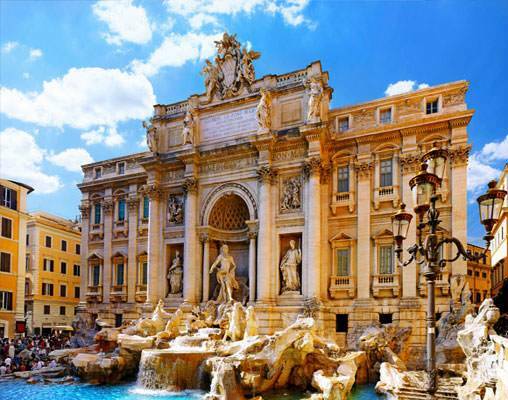 Time to relax or to begin exploring the “Eternal City.” Your Local Host provides you with a Destination Guide, full of useful city information, and is on hand to help you create lasting memories. 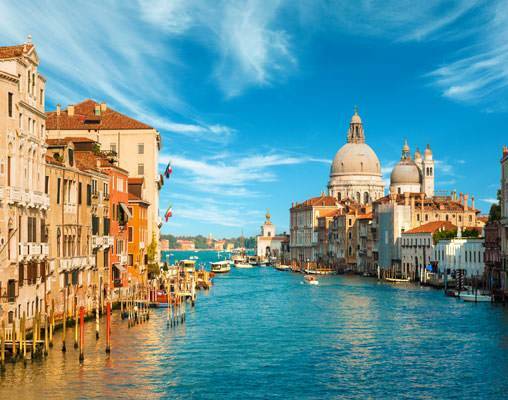 This charming 50-room hotel offers a real Venetian experience in the heart of the city and is housed in a former monastery dating back to 1879 with Free Wi-Fi access available in all guestrooms and public areas of the hotel. A breakfast buffet is served in the bright, airy breakfast room and can also be enjoyed in the serene courtyard garden during the summer months; the original chapel has been restored as a stately wood-paneled lounge/bar complete with the original oak pulpit. NOTE: This 3-story property does not have an elevator and may not be suitable for guests who are mobility impaired. 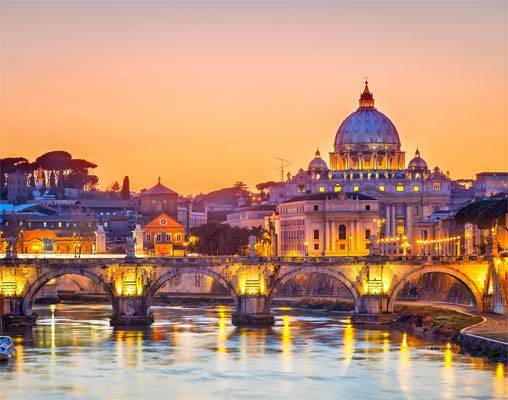 Click here to view testimonials for Rome, Florence & Venice. Excellent lodging, scheduled tours in Rome, Florence, and Venice were superb with very knowledgeable and enthusiastic guides. The hotels, transfers, trains & local hosts were all excellent. The tours in each city were perfect. We took advantage of several optional activities & they were all great. This was independent travel at its best. 22nd April 2019 $2,362 Please call for availability. 30th April 2019 $2,463 Please call for availability. 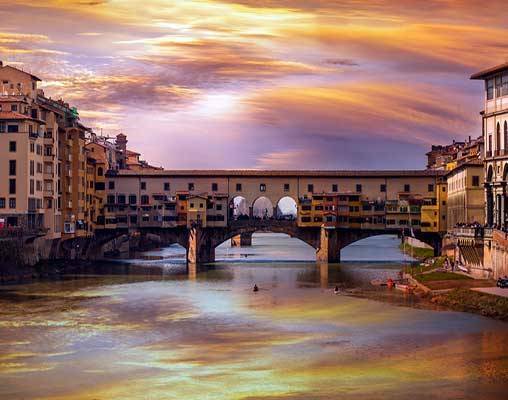 Enter your details below if you would like to be notified when 2020 dates and prices are available for Rome, Florence & Venice. Additional departure dates are available. Please contact a rail specialist for details.